“Then I saw forms of people moving single file along the grass. They were making for the edge. There was a woman with a baby in her arms and another little child holding on to her dress. She was on the very verge. Then I saw that she was blind. She lifted her foot for the next step … it trod air. She was over, and the children over with her. Oh, the cry as they went over! I identify with Amy Carmichael’s grief in so many ways. In this dream that haunted her, she watched streams of people walk off a precipice to their deaths. Young, old, weak, strong, mothers and their children — everyone. The common denominator: All were blind. Another group of people ignored the cries, saying — as they went about their idle, meaningless lives — that they hadn’t received a definite call to help. But Amy could not. She couldn’t ignore the cries of those who were perishing. “Jesus traveled through all the towns and villages of that area, teaching in the synagogues and announcing the Good News about the Kingdom. And he healed every kind of disease and illness. When he saw the crowds, he had compassion on them because they were confused and helpless, like sheep without a shepherd. He said to his disciples, ‘The harvest is great, but the workers are few. So pray to the Lord who is in charge of the harvest; ask him to send more workers into his fields.’ ” — Matthew 9:35-38. To say we haven’t received “a definite call to go” (to quote a person in the Amy Carmichael story) is to take a dangerously narrow view of Jesus’ instructions to us. God may have a unique and specific purpose for each of us as individuals, but that includes — for ALL of us — the command to go into the world and make disciples. To share the good news of the gospel. It doesn’t necessarily mean we have to uproot our lives and move to India, as the Irish girl Amy Carmichael did. 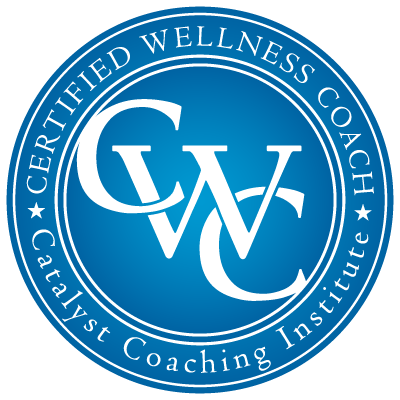 In 2014, I became a certified wellness coach, and I tried to get across the idea that wellness is a holistic pursuit and can mean so many things. My goal was to spur my readers to find their purpose and live it out, and in my mind finding your purpose means realizing who you are in Jesus, gaining strength and boldness from that knowledge and making Him known throughout the world. I wrote around it in so many ways, so as to attract and inspire those who may not already know Jesus. I wanted my world here to feel safe for those who didn’t necessarily believe the way I believe. Well, things evolve and grow and change, and I’m tired of beating around the bush. It would be awesome to enroll in a college program, but for now my study of apologetics will continue informally, although I’m cranking it up a notch or two. You’ll definitely notice it here at To Well With You. This means I may lose readers and subscribers, and I’m OK with that. If this is not your jam, I’m sorry for you but I understand. Being married to an atheist has helped me view the world a little differently and have compassion for others with different views, but it’s also given me a sense of urgency to learn how to intelligently and compellingly articulate what I believe and why. I can no longer keep silent. “I tell you,” he replied, “if they keep quiet, the stones will cry out.” — Luke 19:40. As for you, you decide what you need and want here. I love every single one of you, and I hope you’ll stay — at least until you’ve read a few posts and figured out that I’m not here to cram anything down your throat. I’m here to share what I’ve learned and provide resources if you want to know more about the Christian faith. If you are not a believer, I ask that you stick around, at least for a while. You’re even welcome to challenge what you see here, as long as you do it respectfully and politely with the mutual goal of dialogue that informs and advances the conversation. I’ll show you the same courtesy. My aim is respectful dialogue and teaching (learning together) as I try to show you why I believe. I don’t want your blood to be on my hands. 11/18/18 — Please be patient as I update sidebars, my resource page (which now features running stores), my About page, categories and other features of To Well With You. It will take time, but I didn’t want to delay this post any longer.